These are 3 chicken feeders we have used and recommend. We like our feeders as large as possible, so we don’t have to go out as often to fill up chicken food. 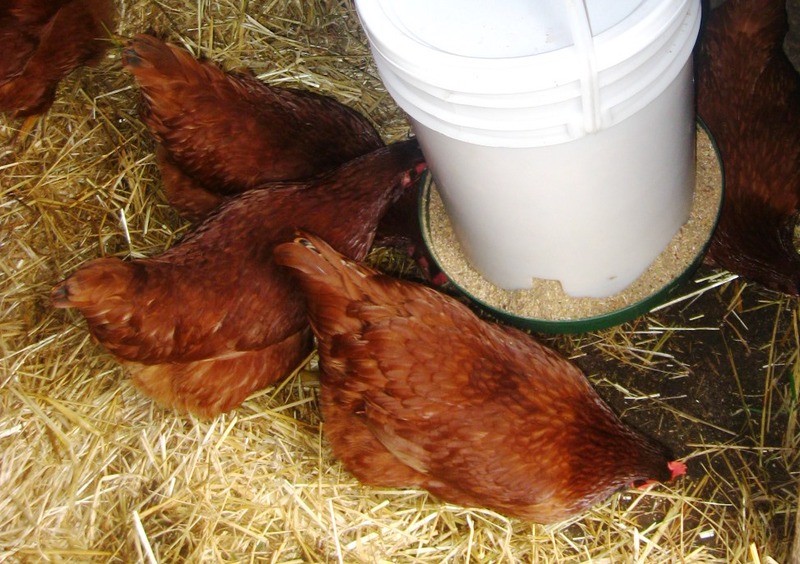 Before we built our 5 gallon bucket feeder, we used one like this for 20 Rhode Island Reds. We filled it every couple days. 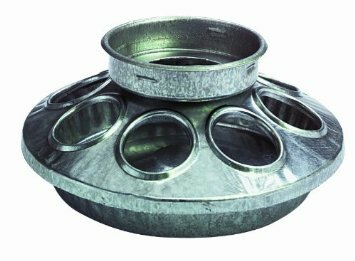 Unlike our metal chicken waterer, it never west rusty but when we switched to a more crumbly organic feed it didn’t flow as well. 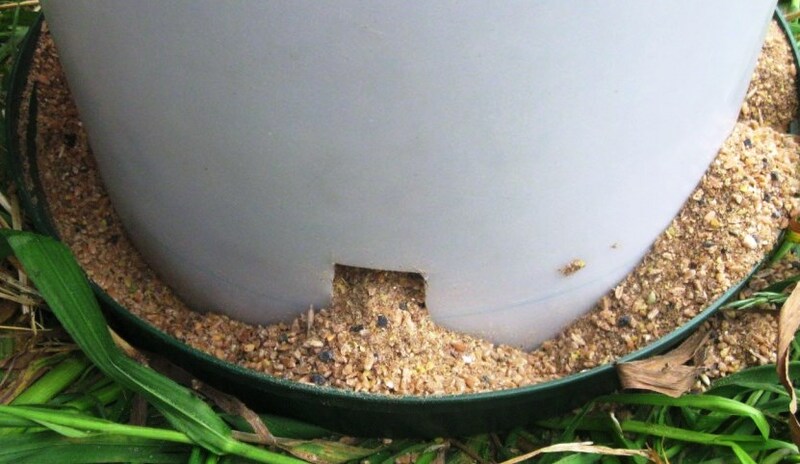 This feeder doesn’t come with a cover, which is highly recommended if your birds roost above their food. When we only had 4 birds we used a smaller plastic feeder like this one which worked great. It keeps the food enclosed so they can’t poop on it. If they made a larger version we would have gone with that instead of the metal cylinder. This is the best feeder for chicks. It’s cheap and has rounded corners so those little chicken babies don’t hurt themselves. We used a narrow mouth mason jar which seemed to fit great. When refilling, just dump all the leftover chicken feed back out into your supply before screwing it back on, or you’ll get feed everywhere. Chicks are hungry so you’ll be refilling this often until they grow up enough to use the adult bird feeders. I made this feeder because our old metal feeder didn’t flow well using organic feed, which was for some reason was very crumbly and would clump much more. Instead of trying to punch bigger holes in the metal feeder, I built this one from scratch. An important side benefit for us is that this new feeder is gigantic! We fill the feeder up much less now than we used to. Total cost for this project was less than 10 dollars. 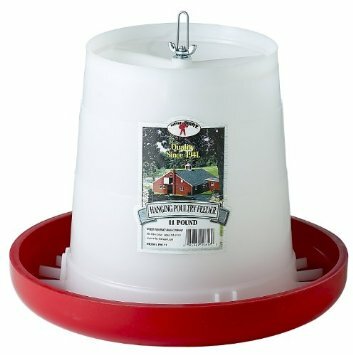 The 5 gallon bucket feeder is much easier to make than our 5 gallon bucket waterer, because you don’t need to seal everything to create a vacuum inside the container. You want a saucer with vertical sides because otherwise chickens will scratch their food all over the place; scratching is how they find food in the wild. The saucer I’m using isn’t completely vertical, but it is close enough to work. Here’s an example of a “deep” saucer, which is the kind you need. Holes need to be drilled all over the place. First drill three holes in the bottom of the saucer unit. These holes need to line up perfectly with 3 more holes on the bottom of the bucket. Flip the bucket upside down and rest the saucer on its bottom, now facing up. 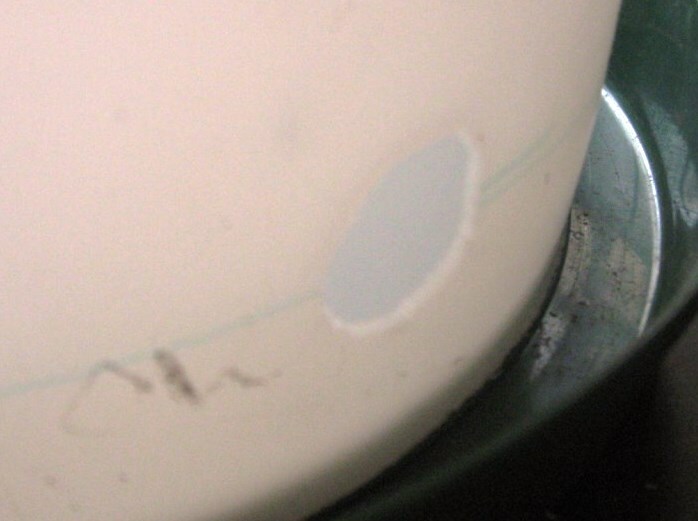 You can mark where to drill with a long, skinny pen or just drill right through, which is what I ended up doing. Now we need a hole near the bottom of the bucket for feed to flow through. The largest drill bit I have is 1/2″ which isn’t nearly big enough, so I cut about a one inch round hole with an exacto knife. It is important to not cut the hole too high. I made the center of the hole roughly level with the top of the rim. It’s better to underestimate the size of the hole at first and cut away more as needed. If you have a hole saw (I want to buy this one but cannot get it shipped to Canada) you can very quickly drill a large perfectly circular hole where you need it. I made only one hole at first, and another one later on the opposite side. Two holes in the bucket seemed to more than enough for 20 greedy chickens. 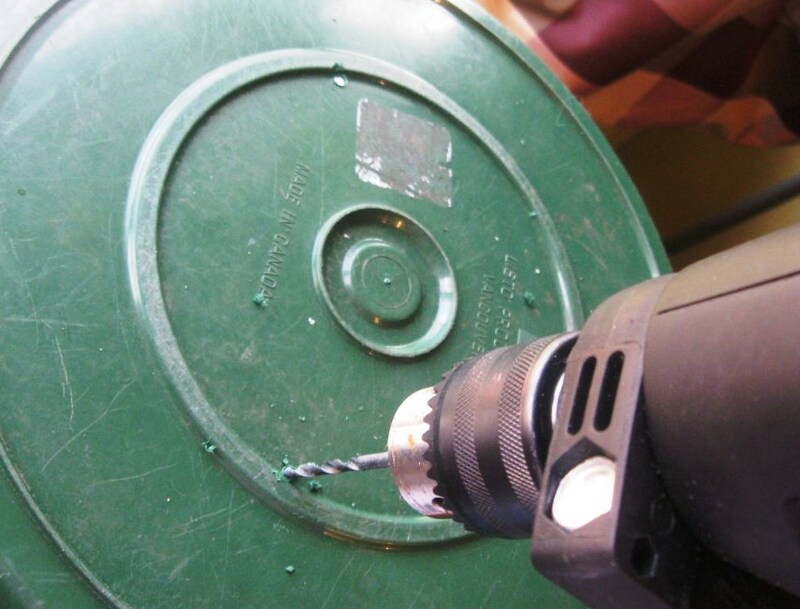 Securing the saucer to the bucket is very easy, just thread the 3 bolts through the 3 holes and attach 3 nuts. I used some extra large nuts I had lying around as spacers between the bucket bottom and the saucer. When I filled the bucket with feed for testing, it turned out my hole was still not big enough for the feed to flow smoothly. We use an organic feed that seems to have a lot of small particle sized pieces, which prevent it from flowing easily. I kept cutting away at the holes (cutting off below the saucer lip is preferable to cutting above) until I was satisfied with the feed flow. Only after I found the right hole size for my feed did I make another hole on the back. If you prefer, you can keep cutting holes but I felt 2 was enough for the amount of chickens we have. 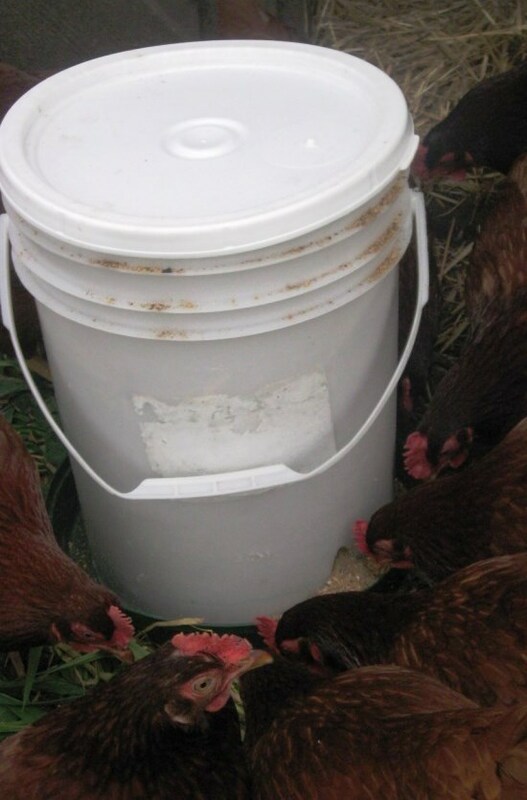 If you’re building the 5 gallon bucket chicken feeder, you’ll also be interested in our other five gallon solutions to chicken care. 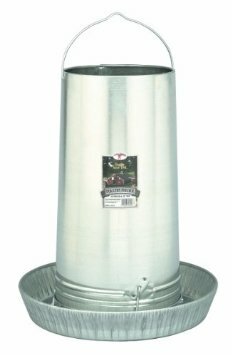 Link: 5 gallon bucket chicken care posts. Time to butcher. We butcher laying hens after 2 or 3 years old. “Spent hens” are only good for making soup with since their meat is very tough. But you will never taste better chicken soup! Chicken soup is always an option. Wait what? Wait. Before you butcher – what time of year is it? Chickens stop laying eggs as the days get shorter. They will start laying again when the days get longer. An indication they’ve stopped for the season is some of their feathers fall out. Loved the idea and made it today but there is a problem. Our rooster realized that he can keep the food coming out of the hole and is trying to empty the bucket. Right now there is probably a pound of feed outside of the planter. Any ideas on how to get him to stop playing with his food? This type of feeder is notorious for LOTS of waste. I used to have one and made a new one after seeing half of the feed on the ground getting ruined and feeding my rat problem. 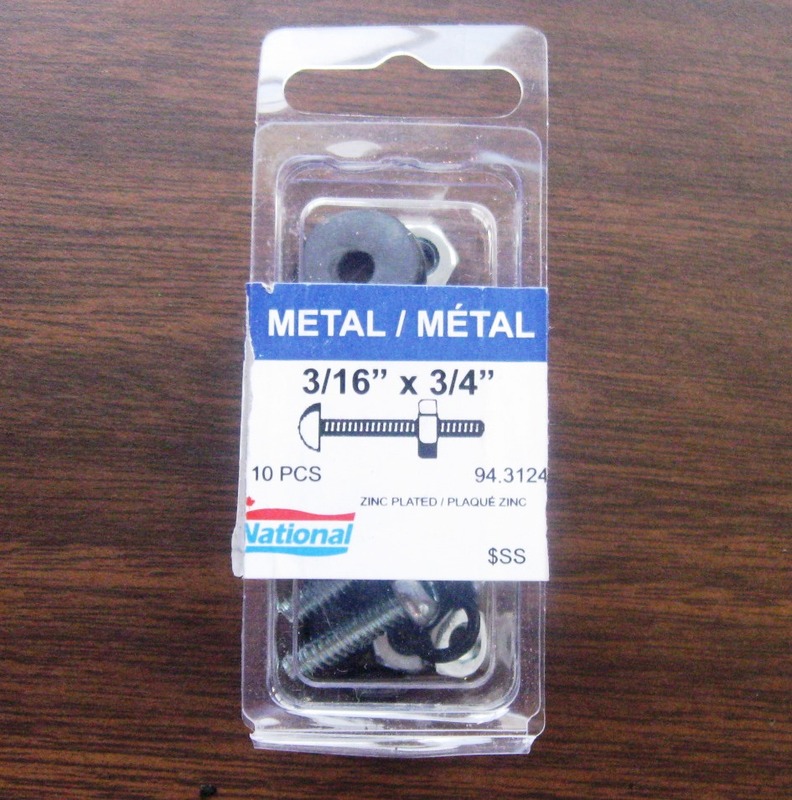 Look for designs that have a 90 degree angle PC pipe going into a tub so they have to stick their heads in o eat. I use one now and I have almost ZERO wasted food. I very much appreciate your innovative ideas through the fivegallonideas website and hope to be a regular visitor to the site. Keep up! I LOVE the web site!! THANK YOU!! I think you’ll find this bucket feeder eliminates the wasted feed problem. Make sure you put in more than one hole if you have more than one bird so that the dominant hen can’t keep the others from eating. Thank you very much for sharing this wonderful idea of making homemade feeders for chickens. I am definitely going to make such one like yours. Thank you!